Sign up for important updates from Kramer pta! We’ve heard your feedback and want Kramer communication to be more effective! 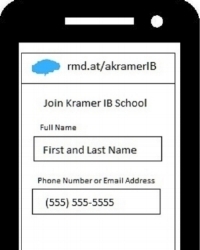 Why wait for Tuesdays to get your information, Remind is a free service to you that allows Kramer Administration and Kramer PTA to instantly communicate with our families via text, push notifications, or email. to everyone who has opted in. Don’t worry, we’ll still be sending home Colt Folders. There are individual class codes to keep your information organized and easily accessible. Each class code will have its own communication stream. You choose which ones to opt into! See the list below for all of Kramer’s Class Codes. Currently, we are only rolling out school wide and grade level class codes. In the fall, homeroom class codes will be added. Communication is a two way street! If receiving instant information about Kramer is important to you and your family, please join today. Kramer PTA will be using Remind as their primary form of communication. don't have a mobile phone? go to rmd.at/akramerpta on a desktop computer to sign up for email notifications. Pick one of two ways to receive messages from the PTA. If you already have the Remind app, click the "Join A Class" button. B. IF YOU DON'T HAVE A SMARTPHONE, GET TEXT NOTIFICATIONS. 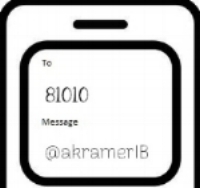 Text the message @akramerpta to the number 81010. If you're having trouble with 81010, try texting @akramerpta to (469) 353-6967. These are for whole grade level announcements.